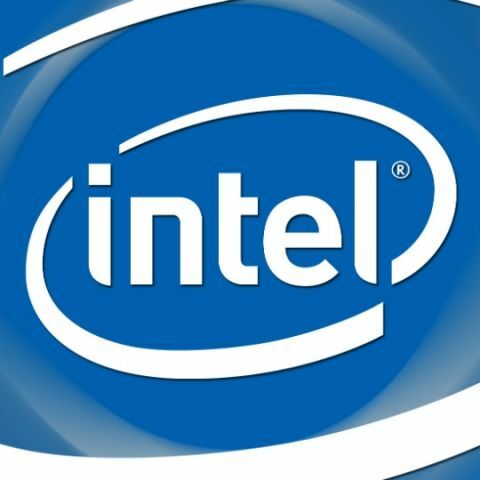 For high-end power hungry users, Intel has confirmed some new processors at GDC which the company plans to release later this year. Intel has announced new processors for those looking for ultra-high performance for the coming year. The leader among PC chipset manufacturers unveiled a new 8-core, 16-thread Intel Core processor Extreme Edition at a media event held at the ongoing Game Developers Conference in San Francisco. The processor will be available in the second half of this year. The new Extreme Edition processor will support the new DDR4 memory standard and also the best performance when it comes to gaming, video editing, 3-D content and other high-end uses. 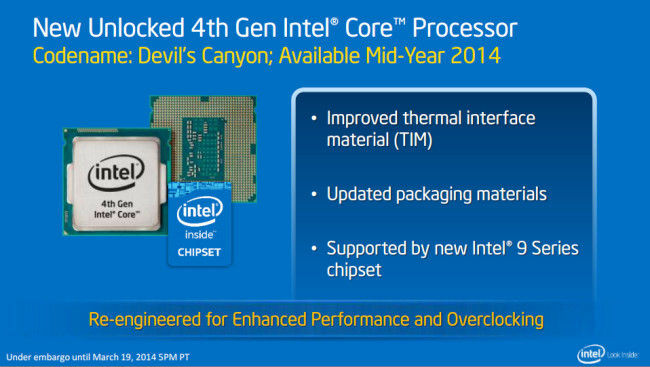 Intel also showcased a new 4th gen Intel Core processor code named "Devil's Canyon". The new processor will give enhanced performance and more overclocking capabilities to high-end users. The new chip, which is due in mid-2014 includes improved thermal interface and CPU packaging materials. The company also announced plans of launching more upcoming processors such as Intel Pentium processor Anniversary Edition and a 5th gen Intel Core processor which will come with Iris Pro graphics. 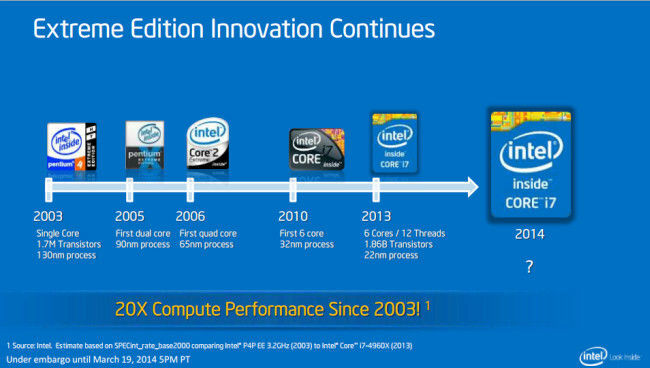 The Pentium processor will be a commemoration of more than 20 years of its Pentium lineup. 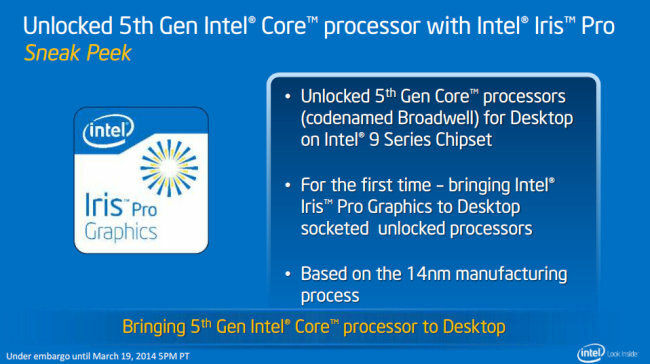 The 5th gen Intel processor is code named "Broadwell." Intel Corporation, which is a pioneer in desktop computing is looking forward to announcing some more innovative technologies later this year. The SoC maker also wants to focus on mini PCs and desktop all-in-ones (AIOs) due to their compelling form factors. The company says that its desktop business was particularly strong in Q4 of 2013 with its desktop platform volume up by 7 percent. Intel demonstrated a portable AIO PC reference design called “Black Brook,” a thin and light system incorporating exciting new capabilities that enable compelling new user experiences anywhere in the home. Black Brook has been built for the purpose of enabling new technologies in the industry and includes an integrated Intel RealSense 3-D camera, a quad microphone array, premium audio and a full HD display. With these announcements, Intel wants to show that despite the high growth of mobile technology, PCs should not be sidelined especially when it comes to raw performance.